Editor’s Note: At the Ready Magazine does not endorse specific products, and this article should not be construed as an endorsement of the specific technology described within. This article simply describes how the Tri-City Regional SWAT team used a specific robot to increase the safety of their team. The cities of Kennewick, Richland and Pasco are part of the Tri-City metropolitan area, where the Columbia and Snake Rivers meet in southeastern Washington State. Combined, the metro area has a population of approximately 260,000. 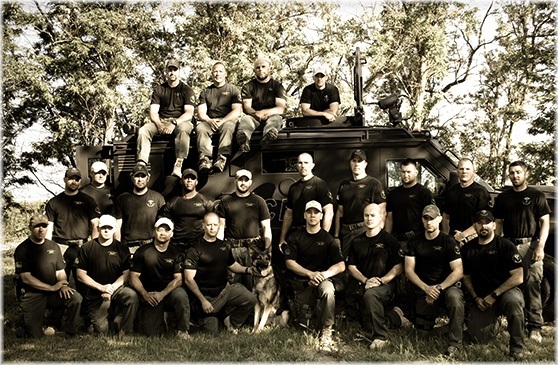 The Kennewick, Richland, and Pasco police departments, together with the Benton County Sheriff’s Office, each contribute SWAT operators and tactical negotiators to the Tri-City Regional SWAT Team. The team consists of 24 operators and 8 negotiators, and deploys to roughly 40 callouts every year. The most common activations involve barricaded subjects. However, the team also executes marijuana eradication missions, serves high-risk warrants, and provides dignitary protection. The team covers both Benton and Franklin Counties and serves as a backup for Yakima and Grant Counties in Washington, and Wallowa County in Oregon. Commander Scott Child began his career with Kennewick PD in 1996, joined the Tri-City Regional SWAT Team in 1998, and worked as an operator on the team until 2002. Today, he serves as Kennewick’s Incident Commander, a position that gives him responsibility for tactical decisions when the SWAT Team operates in the City of Kennewick’s jurisdiction. Commander Child works closely with Sergeant Chris Guerrero, the current SWAT Team Commander. Guerrero serves as the direct supervisor in the field, and is responsible for passing intelligence to headquarters and for executing tactical orders. For more than three years now, the team has been using a small, throwable robot called the Recon Scout XT to help keep them safe. 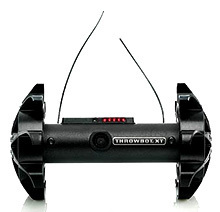 Before acquiring this small bot, the team had used pole cameras and a different kind of throwable sensor that once thrown, remained stationary but allowed for the rotating of the camera to see what was inside the area where it was thrown. While these were effective tools, the standoff provided by the pole camera was limited to the length of the pole, and with the stationary throwable sensor, to the distance they could throw it. Commander Child shared their biggest challenge with At The Ready and talked about how they came to acquire the ReconScout XT. "One of our biggest challenges is our ability to see inside of a building,” said Child. "I was looking through a SWAT tactical magazine and saw an advertisement for a Recon Scout XT. We spoke to larger agencies who reported that the Recon Scout was a good tool. We also watched a video and saw how you can take it out of a pack, pull a pin, and throw it. The robot looked really rugged and could be easily deployed by our operators. Once we learned it was also used by the U.S. military, we knew that it was dependable and practical.” In March 2010, they secured a grant to purchase the Recon Scout XT. Not long after they acquired the Recon Scout XT, it played a critical role in the successful resolution of two SWAT operations. Dispatch received a call that a woman had been held hostage in a trailer by her boyfriend, who was armed and was known to be a dangerous felon. She reported that he had been drinking and passed out. Once he passed out, she escaped to the neighbor’s house and the police were called. Child decided to deploy the robot into the home to assess the situation. The girlfriend had given the SWAT operators a key. A shielded team moved up, unlocked the door, and inserted the robot. They then backed off and began maneuvering the robot around the house, clearing rooms as it progressed. The operator eventually located the subject. "Our officers definitely would have been in a big fight with him, if not a lethal fight, based on his criminal history,” remarked Guerrero. The suspects turned out to be gang members from outside of the area. They did however provide information that the wanted subject the team was looking for was still inside the residence. Based on this information, the police were able to obtain a search warrant for the house. The proactive team surrounded the residence and called for the SWAT Team due to a very high threat assessment. The team made entry, recovered the kids, and brought them outside. They then began hailing again with the robot watching the bathroom and hallway. The operation was not done for Child and his team, however. After apprehending the suspect, they learned that there was another unknown subject in the residence.